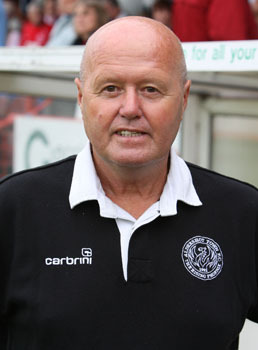 Shots manager Kevin Dillon has confirmed that Nick Brink has joined the club as the new Physiotherapist. Talking to The Shots Online the boss said, "Nick is a South African who I have known for a while. He is a highly skilled Chartered Physiotherapist and he has worked with some terrific athletes. "Nick has experience in other sports too but I have brought him in because from next season everybody has to be chartered at this level. This is an important area of the club which I feel needs to be made better and I feel that Nick will do that. He specialises in rehab which is a massive part of the job too. "Nick has helped with John Halls privately in the last six or seven weeks and that has been a help too." Boss Dillon confirmed that current Physiotherapist Wayne Jones [pictured] will be leaving the club after serving the season here after the departure of Jim Joyce to Brighton and Hove Albion last summer. He added, "Wayne will be handing over to Nick and he did a great job here. His contract was coming to a close at the end of the season and we both agreed that he would move on and I wish him all the best for the future."